Malmö is the third-largest Swedish city with around 300,000 inhabitants (600,000 in the wider urban region). Linked with Copenhagen in Denmark by a spectacular bridge, Malmö is part of one of the most dynamic European regions, the transnational Öresund region with around 3.6 million people. 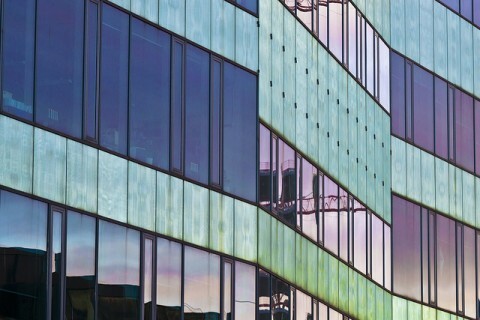 In recent years Malmö underwent a fundamental transition process from being an industrial center to ‘city of knowledge’. Substantial investments have been made in new technologies, research and education. Malmö University, founded only in 1998 with the explicit objective of supporting the ongoing structural change, is now one of Sweden’s most important tertiary institutions with currently 15,000 students. Malmö’s economy is strong in logistics, retail and wholesale trade, property development, medical and biotechnology, environmental technology, ICT and digital media, all of which are interconnected in a network of cooperation with universities, science parks and public administration. These developments have turned Malmö in an attractive ‘young’ city (with half of the population under 35 years of age) and a culturally very diverse urban region (41 % are first or second generation immigrants). Malmö gained international recognition for its Green City strategies, which aim to achieve a ‘zero carbon city’ by 2020. In 2014, the city was awarded the “Environment Municipality of the Year” award. 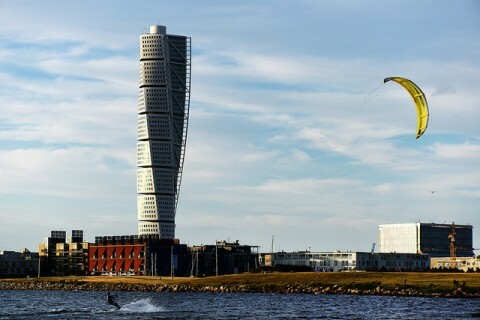 Malmö intends to make all city activities climate neutral by 2020 and has a plan to ensure that the whole city runs on renewable energy by 2030. Already today, around 30% of all electricity is produced using renewable sources. These include photovoltaic installations throughout the city and Sweden’s largest offshore wind farm situated 10 km off the coast. Substantial investments have been made to increase the share of renewable energy for the future. The construction of one of the world’s largest biogas plant is one example. The Green City strategy is put into concrete actions via the ‘Malmö Innovation Platform’, a network of government-business-university partners, led by the Environment Department of Malmö City, in close cooperation with Lund University, Malmö University, the Swedish University for Agricultural Sciences in Alnarp, Media Evolution, EoN (Utility Company) MKB (Housing construction), the administration of the adjacent Skåne Region, and another thirteen partners from industry. Over 15 years ago Malmö began with an innovative programme for green roof development in the ‘ecodistrict’ Augustenborg, which in the meantime has achieved international fame. 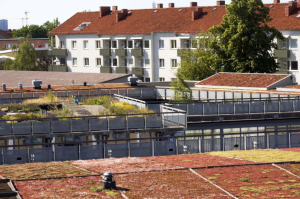 In 2001, the world’s first botanical roof garden with a 9,500 sqm living exhibition of different types of green roofs was opened, including one for plant and animal species threatened by extinction. 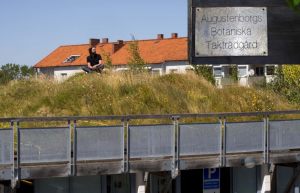 The non-profit Scandinavian Green Roof Association provides green-roof information for builders and the general public, coordinates research and develops university courses on these matters. 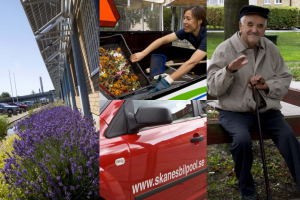 In February 2011, Malmö signed a ‘climate contract’ with property developers and energy firm E. On to transform the urban district of Hyllie into a global benchmark for sustainable urban development by putting various intelligent energy solutions to practice. In addition, the city has innovative programmes for integrated waste management, recycling and bio-gas for its urban public transport. It also has redesigned itself systematically as an urban space for predominantly pedestrians and cyclists, with a share of green space as large as possible.